NAV CANADA has truly transformed itself in the 20 years since it became an independent non-profit corporation; from a federal agency struggling with outdated technology into a global leader in air-traffic systems. About 18 years ago, it began to replace the traditional paper strips used to track air traffic in the country’s 41 control towers with a computerized system that improves safety and efficiency by linking airports electronically – a technology it now sells around the world. It generated $135 million in revenue over the past five years exporting its products. Its success has even caught the attention of the U.S. Congress, which is calling for the much-maligned U.S. air traffic system to be spun off from the Federal Aviation Administration (FAA) into something similar to NAV CANADA. One industry expert praised the agency for its innovations and said others could learn from it, but wouldn’t comment on whether the FAA should spin off its ATC system as he is doing some analysis on the subject for the FAA. With automation, controllers no longer have to perform the time-consuming task of printing out and distributing the strips – what had been a full-time job in some facilities. It also transmits flight data instantly to the rest of the country, making the coordination of long-range flights across regions easier. And it enhances safety by such things as notifying controllers about construction on runways. Its technology is now used in eight other countries, including Australia, the U.K. and Dubai. NAV CANADA has also leapt ahead of the U.S. by using Controller Pilot Data Link Communications – an efficient email-like communication with pilots instead of radio voice calls. In addition, NAV CANADA is a majority partner in Aireon LLC of McLean, Va., which in 2018, will provide the first global air traffic surveillance system using a space-based Automatic Dependent Surveillance-Broadcast network (ADS-B). NAV CANADA will be the launch customer for the system, which Aireon is promoting to other countries. 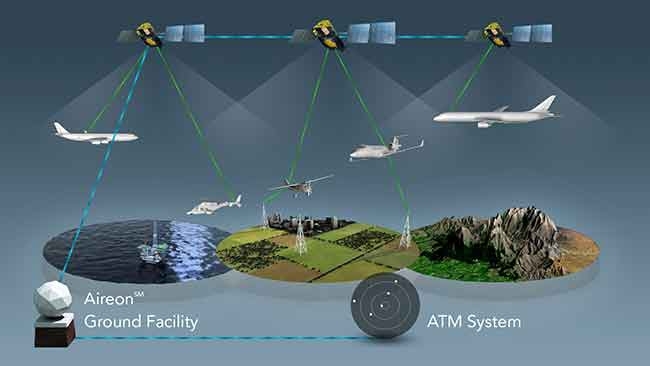 The space-based ADS-B receiver network will relay signals from all ADS-B equipped aircraft to controllers worldwide, allowing 100 per cent global air traffic surveillance regardless of terrain, location or infrastructure and without requiring any additional surveillance infrastructure by the air navigation service providers or equipment by the airlines. NAV CANADA earned $29 million, or two per cent of its $1.33 billion total revenue in 2015, from selling its technology, which is still a drop in the bucket of overall revenue, but will likely increase. In April, the agency announced a temporary rate reduction of 3.7 per cent for the company’s next fiscal year, from Sept. 1, 2016 to Aug. 31, 2017. That’s because it forecasts a year-end balance of $150 million in its rate stabilization account, compared to the target balance of $100 million. “The purpose of the one-year temporary rate reduction is to return this additional $50 million to customers,” said president and Neil Wilson. NAV CANADA has developed another new technology known as iSign, which allows controllers to log into work and receive pre-shift briefings on an iPad, replacing sign-in sheets and binder books. The system was rolled out last year and the company hopes to sell it to airports and other aviation clients. Australia has installed NAV CANADA’s tower software at four airports, including Adelaide and Melbourne and last year signed a contract to add it to four more. NAV CANADA is providing a modified version of its NAVCANsuite of ATC tools called INTAS (Integrated Tower Automation Suite), while Saab of Sweden will provide overall project management and system integration as well as integration of surface automation tools. INTAS combines flight data, operational data, surveillance, and airfield lighting control, providing air traffic controllers with an environment that enhances safety and efficiency, and reduces controller workload.